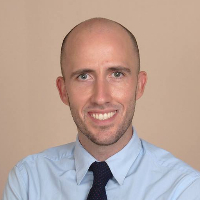 Hello, my name is Josh Curie and I am a fully Licensed Clinical Social Worker (LCSW) with more than 10 years experience in the mental health sector, conducting therapy for the last 5 years. I also am credentialed in the state of Michigan as a Certified Advanced Alcohol and Drug Counselor (CAADC). Enough about that! I have varied clinical experience, but I am most passionate about working with individuals who are HIV+ or LGBTQ. I am comfortable in working with individuals that are having a difficult time reconciling their faith and sexuality, experiencing loneliness, struggling with monogamy or infidelity, have experienced sexual/physical/emotional trauma, etc. I have experience in working with individuals and couples in non-monogamous and polyamorous relationships. I am happy to work with friends and family members of LGBTQ persons who are struggling to understand or accept these identities. Also, I am comfortable in working with individuals or couples in mixed-orientation marriages or going through separation/divorce due to sexuality or gender. As for me, I am an openly gay male. I work full-time for an integrated health clinic as a clinical therapist. I tend to operate from a holistic perspective and believe that it is vital to be proactive in addressing one's physical health and mental health. I realize that I am both a teacher and a learner as a therapist and that you are the expert of your person; in other words, I have no qualms about asking you to explain things that I do not understand. I believe in creating an authentic and supportive relationship that minimizes barriers to therapy. While I have clinical training, I speak more conversationally and do not speak condescendingly. I am a firm believer in that we all have things we are working for and we should all have at least one person--perhaps a therapist--that we can be fully honest with without judgement. I see clients Monday through Friday for face-to-face sessions during the daytime. Therefore, most of my availability with betterhelp is in the evenings and on weekends. I check messages at least once a day except for when I am on vacation and you will know when I'm not accessible. I do my best to respond within 24-48 hours, sometimes sooner when possible. I am available for live sessions generally 2-4 days per week depending on the week. While sending email messages back and forth is a viable option, it can get a bit cumbersome and has some lag time in between. Live chat allows me to communicate via text in real time on the platform as if we are in a chat room. Several people may prefer this option if for whatever reason you are not comfortable talking over the phone or video conferencing at this time. While I can invite you to a live chat if I see that we are online at the same time, it generally is helpful to schedule a time so we can work together without interruption and be prepared. Phone calls and video conferences need to be scheduled at least 24 hours in advance. Same day appointments are generally not going to be realistic. Please note that although this platform does not cap the amount of messages sent, this is not the appropriate forum for somebody who is in immediate danger or requires several points of contact each and every week. If in a crisis, please call the suicide/crisis hotline 1-800-273-8255, which has staff available 24 hours every day. Most people elect to have a regular scheduled check-in every week or two, sometimes more or less depending on your current situation. Please just be communicative in your preferences and I'll do my best to accommodate you and your preferences. Being on time to your scheduled sessions is important. It demonstrates investment in your care and also respect for my time. I provide a 15 minute grace period but after 15 minutes, the session gets cancelled and you will need to reschedule. Josh has been fantastic and really listens. I was very sceptical coming into counselling for the first time but Josh put me at ease and really helped me overcome and start dealing with a few issues in my life. Having someone to talk to who listens dilligently makes the world of difference. Would you like to write a review for Josh Curie? We'd appreciate if you can spend a couple of minutes to write a short review for Josh Curie (LMSW, CAADC). This review would be shared with Josh Curie. It may also be posted in our website or in Josh Curie's profile but it would be anonymous and your identity would be kept completely confidential.